Building Confident Kids Online Event — Coming Soon! | Speed Reading Plus Blog! This looks like a great resource for parents and grandparents as well. Next week, April 7-12, check out the free online conference hosted by full-time teacher and Mom Heather Davis. 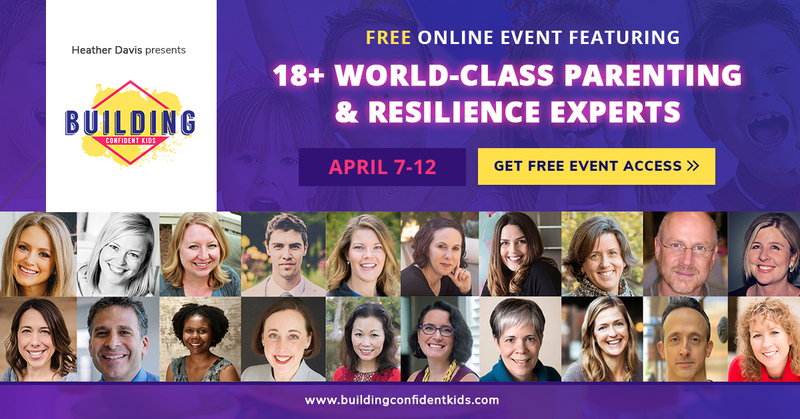 This 5-day online event includes interviews with experts focused on how we can authentically build confidence in kids in our everyday roles as parents or educators. This entry was posted in speed reading. Bookmark the permalink. 1 Response to Building Confident Kids Online Event — Coming Soon! Thanks for sharing! It’s gonna be a great event! Really practical strategies on building confidence in kids for educators and parents!